How much does a kitchen cost me? When my clients ask me this question, at the end of an initial cognitive meeting after having seen the proposals that we have exhibited from Gallery09, kitchens Binova Minacciolo and Modulnova, my first answer is depends! Already but what does it depend on? the third item is the choice of the home appliance package, choice dictated by various factors, the abilities and culinary ambitions, the knowledge of a brand rather than another, the characteristics offered by a product rather than the 'fashion' of the moment, in addition to aesthetics , to give figures we can say that we start from around 1800/2000 € (4 appliances) but it could be even 10 times as much, usually the area of ​​greatest action is around 3500 / € 4000. So how much do I spend to make a nice kitchen? It depends, to make a nice kitchen you have to start from a beautiful project, so it is essential to turn to a designer who is able to interpret your needs and can give you a functional and comfortable kitchen in which to live your daily life. A good designer will be able to make the most of your budget and this is precisely the added value that is not quantified in the final price of the kitchen. 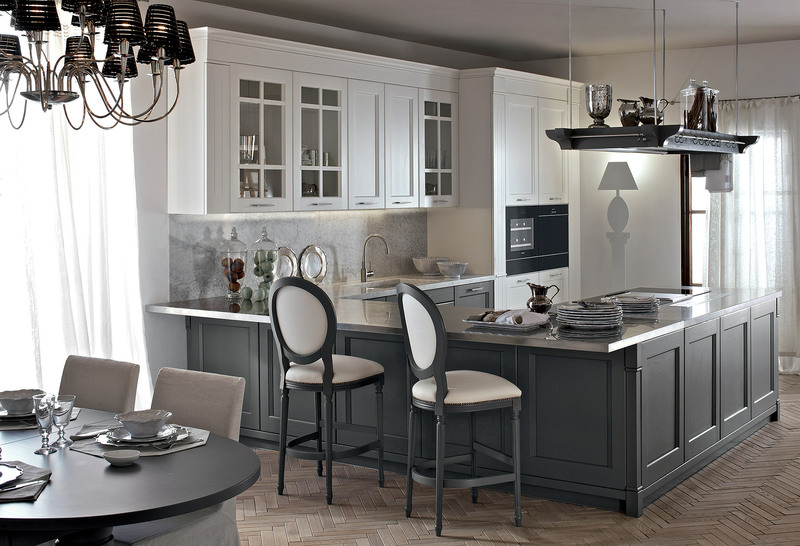 Precisely for this reason a nice kitchen can cost from € 5000 to € 50,000 but also three times as much, what will make it really beautiful will be the fact of perfectly matching your needs and your taste with a wink to the budget available. Gallery09 tailor-made the kitchens Binova, Minà, english mood Minacciolo and Modulnova thanks to the help of Architect Deborah Ferraresi.